There is much talk about scale-out architectures in the IT industry in general and the storage industry in particular. 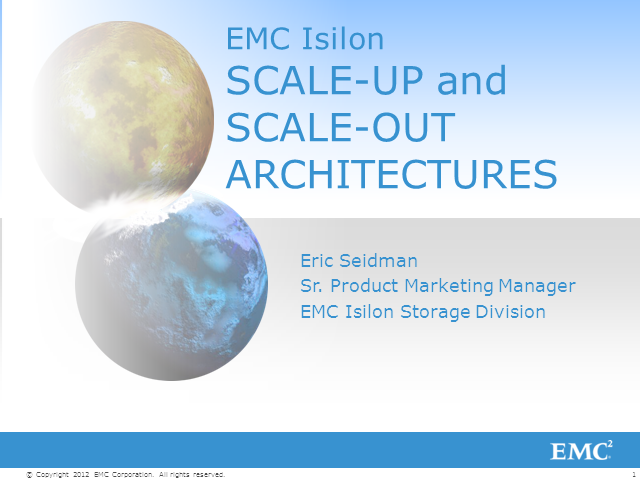 Scale-out architectures are often contrasted with more traditional scale-up architectures. This session explains the key characteristics of scale-up and scale-out storage architectures, how they differ and complement each other for different application use cases, and finally discuss some key questions to ask that can help you decide which architectural style best suits your application and environment.